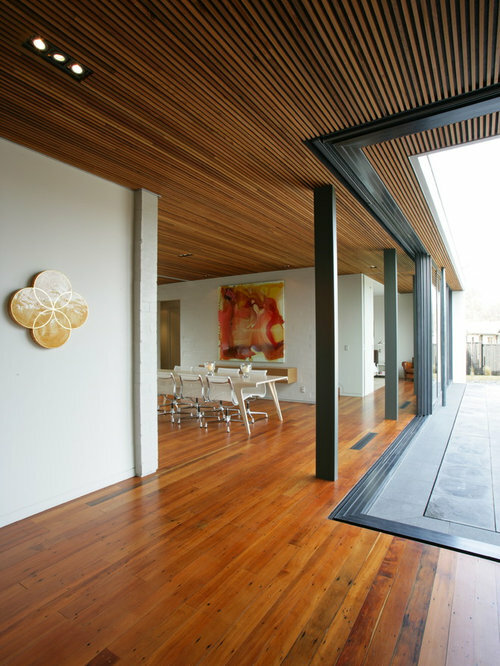 The perfect home for entertaining, inside and out. 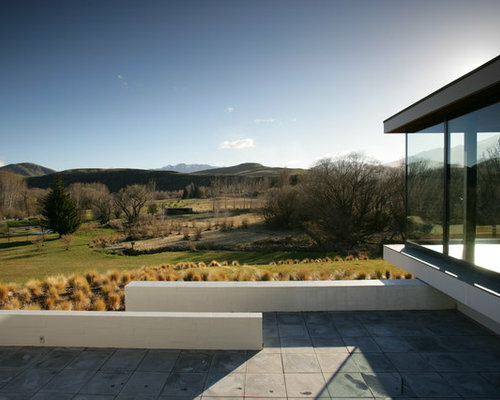 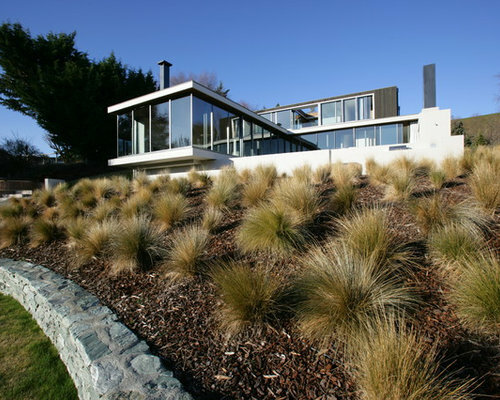 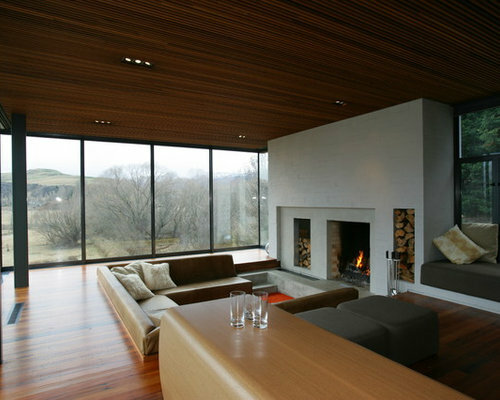 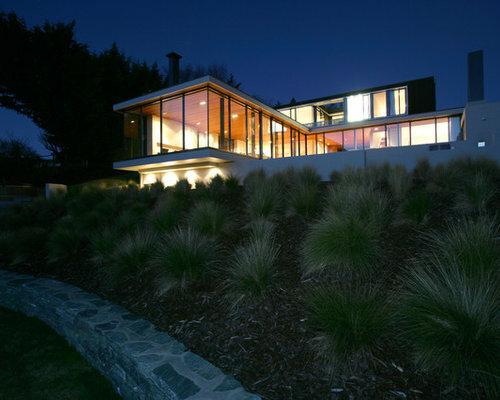 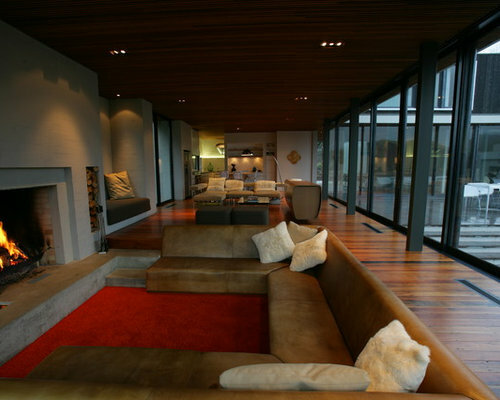 Enhanced by a large indoor fireplace, horizontal planes of cedar batten ceiling and recycled matai flooring frame the views, while extensive use of glass connects the interior to the landscape. 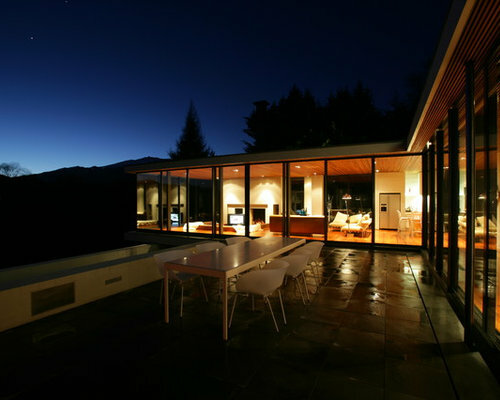 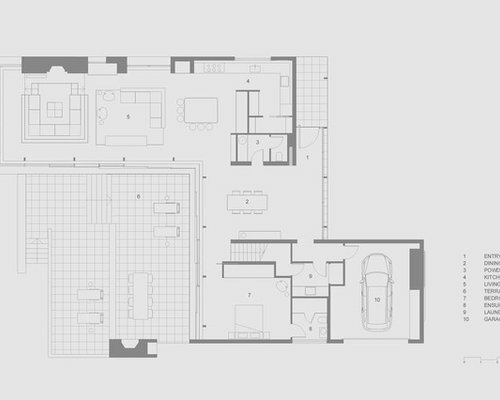 The L-shaped building forms a courtyard for both summer and winter dining around the big outdoor fire.